Resonant of classics by Dostoevsky and Graham Greene, The Ballad of a Small Player is a timeless tale steeped in eerie suspense and rich atmosphere. As night falls on Macau and the neon signs that line the rain-slick streets come alive, Doyle  "Lord Doyle" to his fellow players  descends into his casino of choice to try his luck at the baccarat tables that are the anchor of his current existence. A corrupt English lawyer who has escaped prosecution by fleeing to the East, Doyle spends his nights drinking and gambling and his days sleeping off his excesses, continually haunted by his past. Taking refuge in a series of louche and dimly lit hotels, he watches his fortune rise and fall as the cards decide his fate. In a moment of crisis he meets Dao-Ming, an enigmatic Chinese woman who appears to be a denizen of the casinos just like himself, and seems to offer him salvation in the form of both money and love. But as Doyle attempts to make a rare and true connection, all that he accepts as reality seems to be slipping from his grasp. At midnight on Mondays, or a little after, I arrive at the Greek Mythology in Taipa, where I play on those nights when I have nowhere else to go, when I am tired of Fernando's and the Clube Militar and the little brothel hotels on Repubblica. I like it there because there are no Chinese TV stars and because they know me by sight. It is one of the older casinos, archaic and run-down. Its woodwork reeks of smoke, and its carpets have a sweet rancid sponginess that my English shoes like. I go there every other weekend night or so, losing a thousand a week from my Inexhaustible Fund. I go there to scatter my yuan, my dollars, my kwai, and losing there is easier than winning, more gratifying. It's more like winning than winning itself, and everyone knows you are not a real player until you secretly prefer losing. In addition to the strong, contemplative narrative, Osborne’s sense of place makes The Ballad of a Small Player an outstanding novel. This book could not have taken place in the desert casinos of Las Vegas or Monaco’s Monte Carlo. In Macau, ancient Chinese lore mingles with Western ideals – luck is a decision of the gods, and insatiable ghosts of the Buddhist afterlife are believed to walk among the living. (Reviewed by Elena Spagnolie). With its ex-pat angst and debauched air of moral ambiguity set amid the sinister demimonde of the Far East's corrupt gambling dens, Osborne's (The Forgiven, 2012) darkly introspective study of decline and decay conjures apt comparisons to Paul Bowles, Graham Greene, and V. S. Naipaul. Osborne's novel is seemingly a fictional composite of his own interests in drinking, traveling, and Southeast Asia. But the work is more than a personal diversion. It speaks to a larger, more disturbing universal truth embedded in the culture of gambling: one is always forced to act with or against the cards that are dealt. Osborne masterfully recreates the atmosphere of casinos as well as the psychology of baccarat players - and leaves readers eager to try their luck at the game. Starred Review. A searing portrait of addiction and despair set in the glittering world of Macau's casinos...Osborne's intriguing Chinese milieu and exquisite prose make this work as a standout. Like Hong Kong, Macau (also spelled Macao) is a "Special Administrative Region of the People's Republic of China" (SAR), but is a fraction of its size - about 28 sq km, (11 sq miles) compared to Hong Kong's 1,100 sq km. The terrain is mostly flat and has a humid, subtropical climate. It is located approximately 40 miles west of Hong Kong, borders the South China Sea to the south and east, and China, specifically Guangdong Province, to the north. 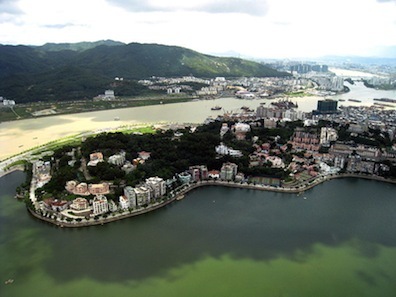 It consists of Macau Peninsula and the islands of Taipa and Coloane, and is a very dense urban landscape. Only 2% of Macau's land area is cultivated. 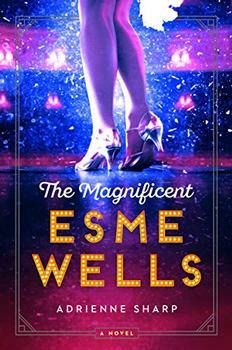 From the nationally bestselling author of The True Memoirs of Little K, a deeply felt and historically detailed novel of family, loss, and love, told by an irrepressible young girl - the daughter of a two-bit gangster and a movie showgirl - growing up in golden-age Hollywood and Las Vegas in its early days. A thrilling and cinematic work of sophisticated suspense and haunting lyricism, set in motion by characters who can neither trust each other nor trust themselves.